A few weeks ago Sunok invited us to her parents house in the countryside for a special class. We were going to learn how to make samgyetang (삼계탕), which is a soup made from chicken and ginseng. 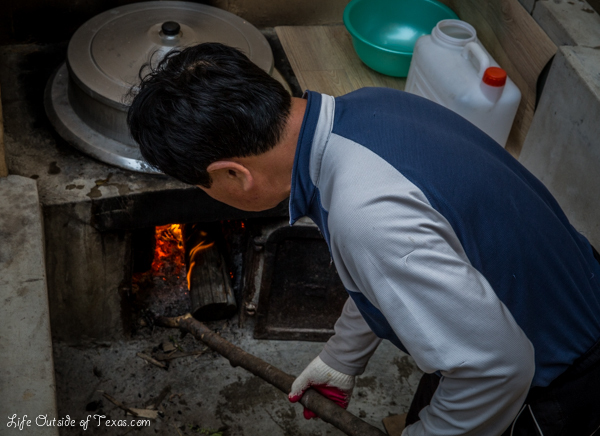 Sunok’s parents even supplied chickens for the meal, and many of the ingredients were fresh from their garden. Sunok is such an artist when she cooks. She is all about presentation. We arrived to her parents house to find that she’d already laid out the day’s ingredients beautifully. 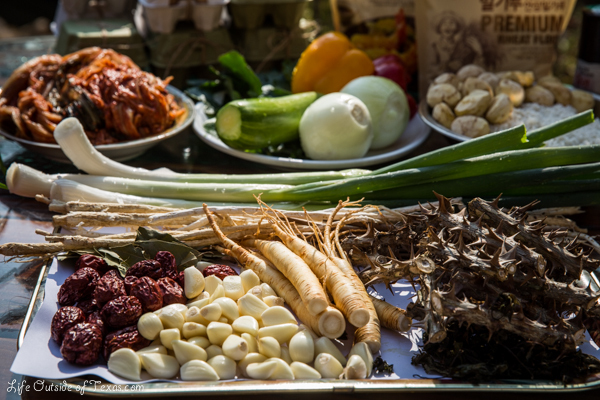 To cook samgyetang, you just stuff ginseng, garlic, sun dried jujube (red date berries) and other various roots into a small chicken, along with rice and chestnuts. Then, you let it cook for an hour or so. 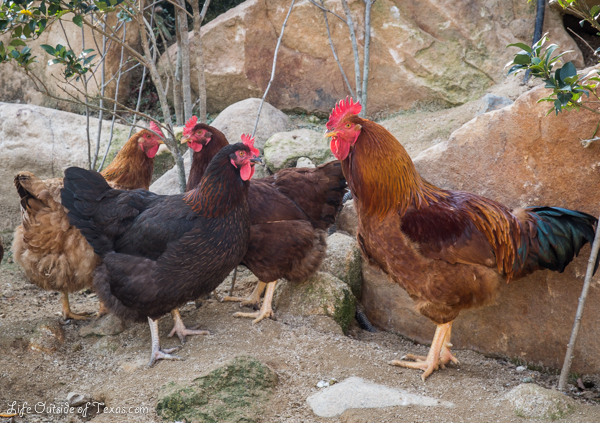 Because we had a large group, we used 4 large chickens. The chickens were so big that they were too difficult to stuff so we put the ingredients (excluding the rice and chestnuts) into a bag. After we prepped all of our ingredients, we took them to the outdoor stove. Sunok’s parents were so helpful. 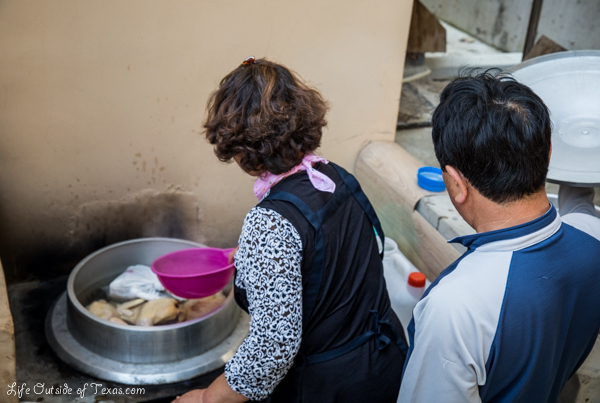 After we started cooking the soup, we moved on to making some Korean pancakes called jeon. We made green onion pancakes (pajeon/파전), and kimchi jeon (김치전). Everyone got to take a turn making one. They were so good that we ate them almost as quickly as we could make them! We still had time to spare before our soup was ready so we spent some time playing. Even though the soup took a long time to cook, it was well worth the wait. Yum! 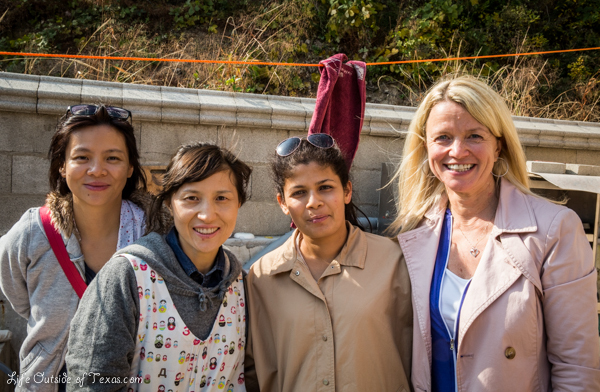 If you liked to join us for a class, please join our Korean Cooking Classes in Ulsan facebook group. If you liked this post, please also like Life Outside of Texas on facebook! This entry was posted in Korean Cooking Classes, Ulsan Expat Guide and tagged authentic korean recipes, classes in ulsan, cooking korean food, expat, expat blog, how to cook korean food, korean cooking, korean cooking classes, Korean culture, making pajeon, photography, samgyetang recipe, south korean recipes, things to do in Ulsan, travel, ulsan korea expat by Meagan & Dave | HappilyEverExpat.com. Bookmark the permalink. Awesome to find your site. I am from Texas also. Before I lived around SE Asia and I also traveled throughout Europe, and now I live in British Columbia. When I finish grad school, I want to go back to Asia. I’ve considered Korea. But nervous to start over with new relationship. So look forward to reading more of your story. Seems like I don’t meet other people from Texas on the road. Howdy! 😉 Love meeting other Texans. Korea is a really great place to live. I’ve found it very easy to adapt as a foreigner. I’ve been her close to 3 years now. Would love to visit Europe soon though! This looks AWESOME! 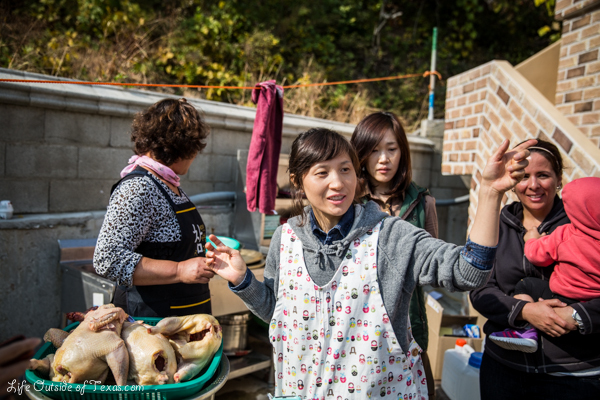 I wish we had a cooking class in Yeosu!!! I love my cooking class. I’m so thankful to have found it. How do you like Yeosu? I’ve never been, but I heard the expo they had there back in 2011 (?) was pretty cool. We visited Namhae this past summer and really enjoyed it. Dave is vegetarian so it’s really nice for us to have the conveniences of western food and Costco. I think I’m more of a city girl. I miss Busan’s subway system and I really wish Ulsan had one. It was much easier to get around and familiarize myself with the city when I was in Busan. I do like living in Ulsan though. If you’re ever in Ulsan again, let me know. We live right in old downtown and have a spare room! What a wonderful post!! The photography is great! I wondered if you would have had to kill and prep the chickens? (yikes) I realize that China is not Korea and that we should not lump all asian countries and foods together BUT have you read The Last Chinese Chef? 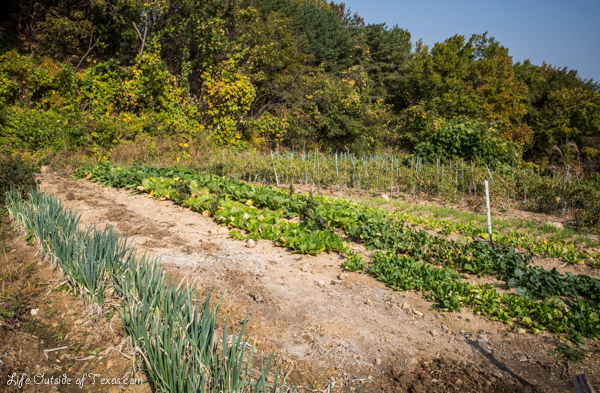 I ask because it’s all about preparing food traditionally and this post reminds me of that. If interested, check out this link. Wow, this sounds like such a cool experience. I’m a total foodie and love learning new things to make. 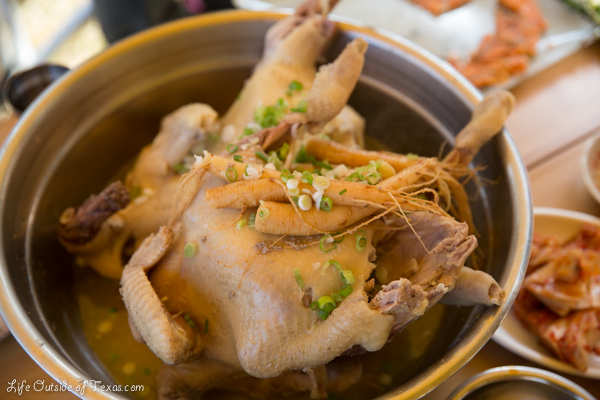 I think it’s not technically samgyetang because the chickens are too big. There’s another name for it that I don’t remember. But it’s basically the same idea. I really love my Korean cooking classes. I enjoy cooking, but my boyfriend is a vegetarian so I actually rarely get to cook any of the foods I learn about in class! How does he do in Korea? There are definitely vegetarian options here, but I feel like the cuisine is pretty meat-heavy. It’s difficult. There are really only a few Korean foods he eats: bibimbap, pajeon and hoddeok! He also hates pickled/fermented stuff so he won’t even eat kimchi or kimchijeon. Picky thing! Luckily there are a lot of foreign restaurants in Ulsan so we manage. And I’ve been learning more about vegetarian cooking! That’s good! Korean cuisine definitely rewards the unconstrained. Glad he’s able to get by.